I started playing Destiny about halfway through Year 1. 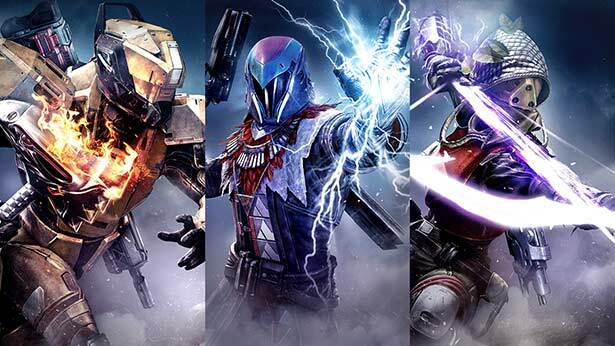 Destiny is a Playstation first person shooter game with plenty of cooperative and PVP content. It also has a roleplaying aspect as the weapons and items in the game scale as your characters level up in one of their three classes. Destiny has a 3 year plan for content release. 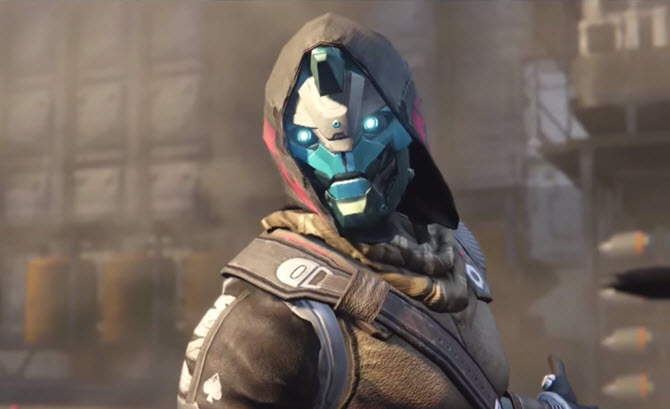 When the Taken King was released, a number of mechanics Year 1 players became used to changed. So, I thought I would blog a little about some of these changes, and my experiences thus far in Year 2. Having reached the upper end of Year 1, one of the first things that I picked up on was the spike in difficulty. Playing regularly with headset voice party with friends, even when not actually playing together, it quickly became apparent that the new content had thrown everyone a curve. Perhaps we had become complacent in our Year 1 content. 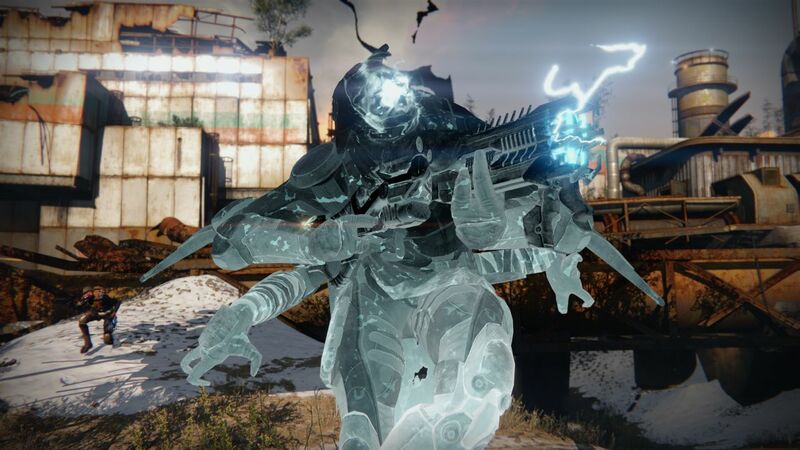 The new foe, the Taken, and much of the new content has spiced that up considerably. 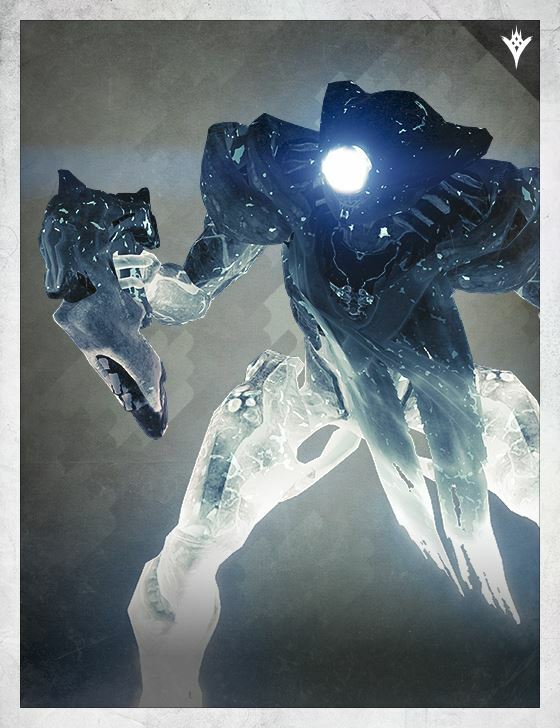 The Taken not only appear in the new content, but even on routine low level areas such as Cosmodrome and other patrol zones, they spawn periodically in the way that Wolves did. But not in the exact same place, more in a general area. Also not always in single waves, but multiple spawns (sometimes behind you if you aren’t paying attention). 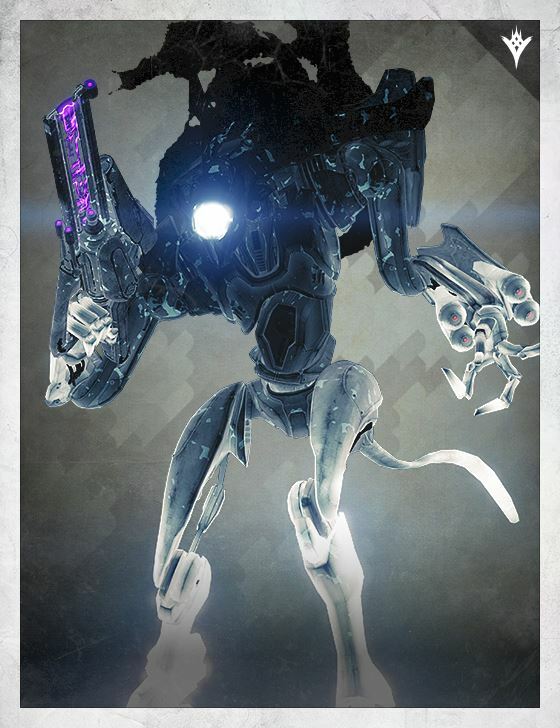 Taken are ghost like creatures that are ghostly version of creatures we had run in to previously from the Fallen, Hive and Cabal. 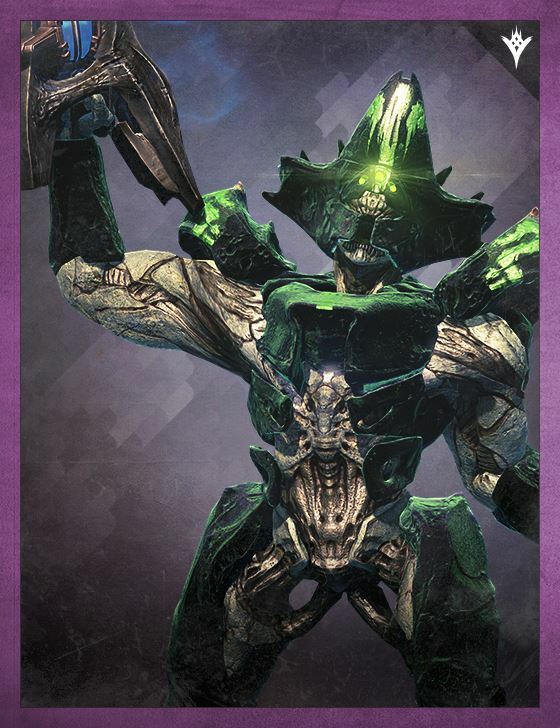 Oryx (the antagonist in the new content) has corrupted them to act out his will. 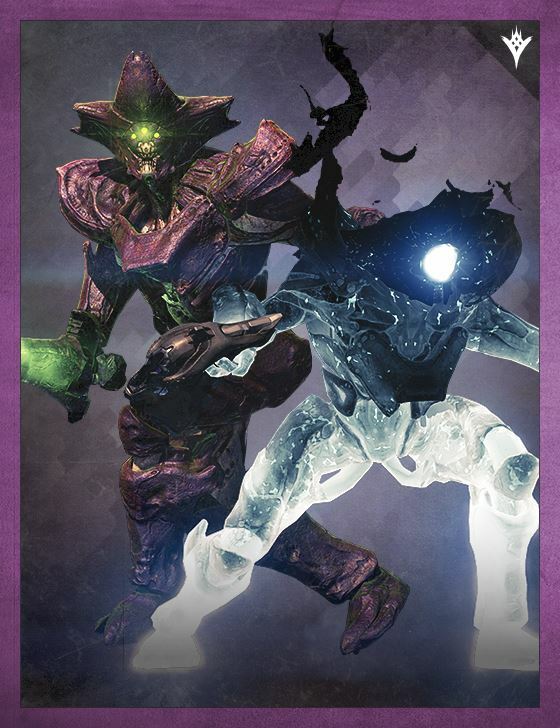 Acolytes – these can summon Acolytes Eye, which is a glowing ball that shoots at you. Captains fire a large ball of energy. If you are hit by it, it slows, blinds and damages you. Really annoying mid combat with Taken shooting at you from all sides. Centurions fire a ball of energy that will track you and hurt. These are not easy to avoid. Goblins cast a shield around other Taken granting them invulnerability. Hobgoblins fire three balls of energy which track and often do so the moment they are damaged. Minotaurs can cloak and sneak around. Phalanxes can fire lasers from burning spots in their shields. 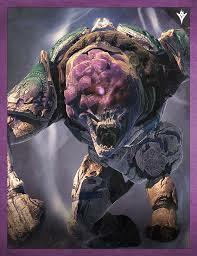 Psions can duplicate themselves, and if not killed quickly, a single Psion can become 3 or 4. Vandals can put up Titan-like shields and seem to do so whenever I am lining them up in my sniper rifle sights. Very annoying. 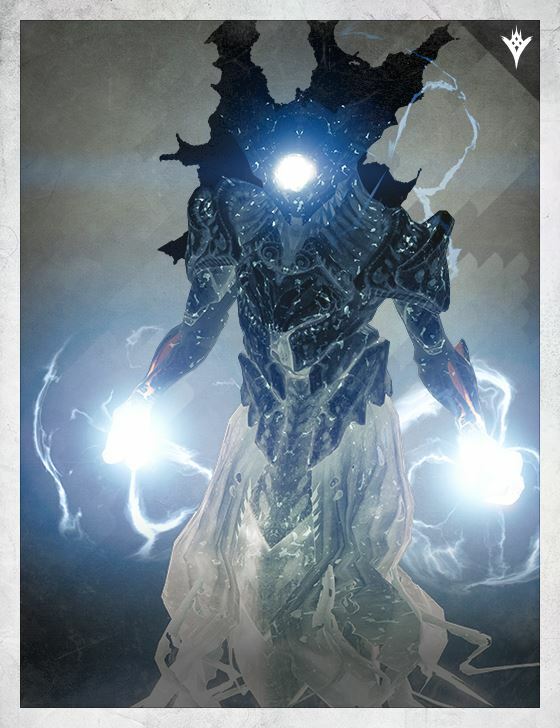 Wizards can summon Shadow Thralls who will swarm at you, and are black so often hard to see coming in dark places. In a patrol area, these start in smaller packs of lesser Taken. If you (or anyone else in the area) take to killing them, they will spawn Lieutenants with more health, and higher level versions up to Boss level and size creatures. When Taken spawns get going, many other respawns in a zone may stop, but not all of them. And they have no restriction on occurring at the same time or even on top of a Public Event. If the chain is not completed, they ultimately time out and despawn. In addition, Vanguard strikes will sometimes replace the normal creatures with Taken so you cant assume the content remains static. There is a lot of pretty content in The Taken King. Many players repeating missions I know still watch the cutscenes over and over because they are “so good”. In Year 1, ghosts were scattered about the place to be found. 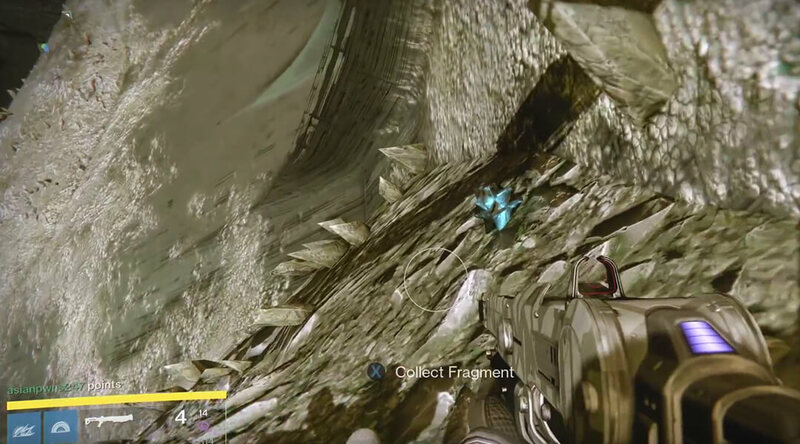 These have been mainly replaced with Calcified Fragments that seem to serve much the same purpose. Provided your character is at least level 25, and you have purchased the expansion, you can commence The Taken King story line. Doing so unlocks the 34 level cap from Year 1, allowing you to get to level 40. The difficulty curve grows quickly in that story arc and may prove problematic for level 25s to progress far without assistance. But once unlocked, you can level your character up to 40 without progressing that story any further, then go back and take it on stronger. If you can contain yourself. Once you hit level 34, all further progression is in your items. Purple items can absorb items of higher level to increase their level to an average of the merged items, but retaining the attributes and bonuses of the base item. So don’t be so quick to dismantle those blues, as they could improve what you are wearing. But what about the Year 1 Exotic items I spent so long collecting? 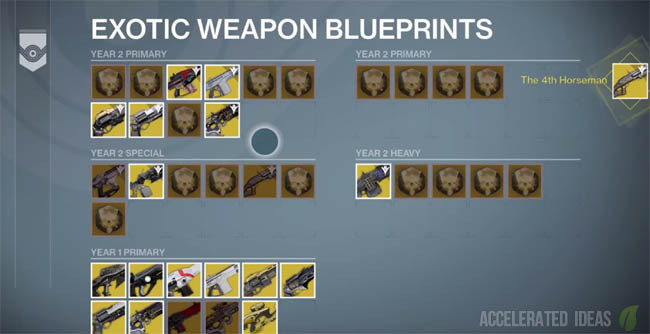 Well, many of these have Year 2 upgrade blueprints that can be purchased from a screen in the Tower for 150 Legendary marks. With Legendary Marks, you can upgrade them to Year 2 quality. Not all of them though. Some infamous items like Gjallahorn and Icebreaker have no Tier 2 equivalent (yet at lest). 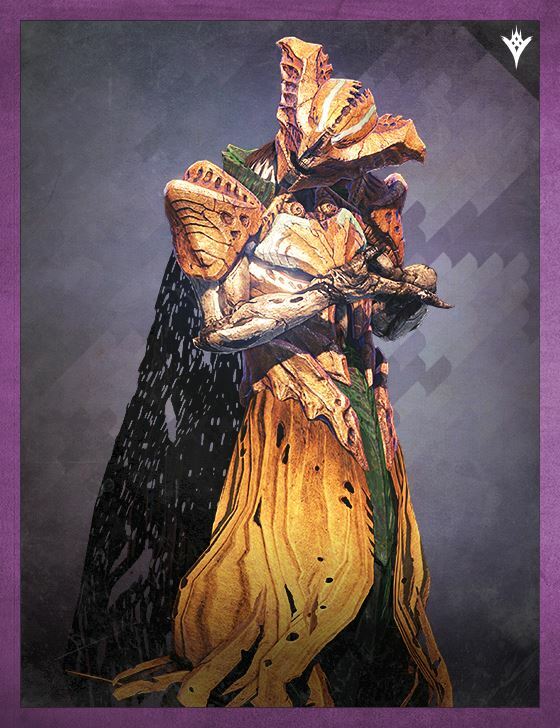 Once you come in to possession of a year 2 exotic, you can purchase additional copies for Exotic Shards. 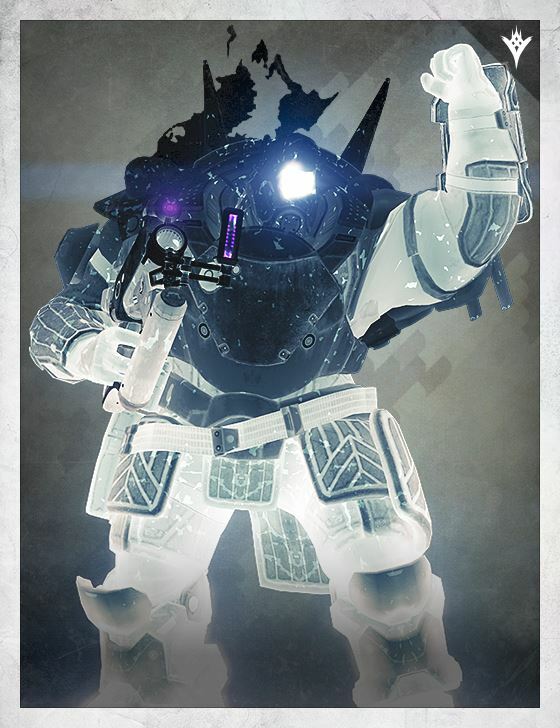 On completing the first Taken King mission, you will unlock a pair of missions that will enable you to unlock your third class spec (Warlock: Arc, Hunter: Void, Titan: Solar). All of the new specs are incredibly fun. 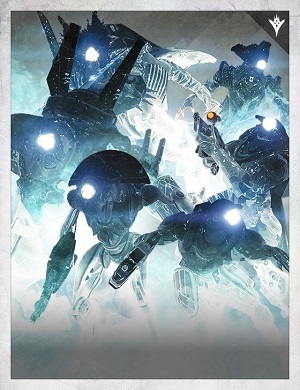 You should also find a faction contact at the Tower and purchase a token from one of them. This token means all XP will increase that faction and can unlock some interesting things. You can change factions once per week, but better to milk one faction for all they are worth first. 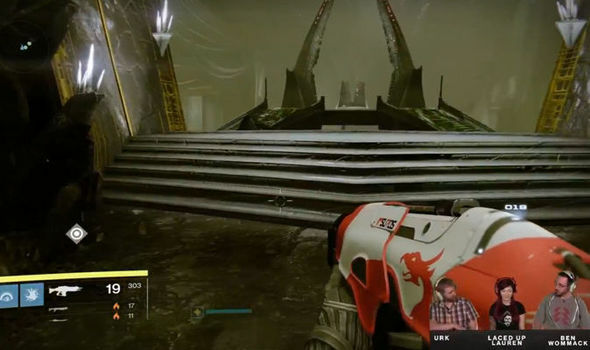 Once you progress the story to be able to patrol the Dreadnaught, there is an area called The Court of Oryx. Take a fireteam if possible. Throughout the game, runes will come in to your possession. Some of these allow you to summon boss fights through a portal. Only the person that activated the summon gets the eventual chest reward assuming you win the fight, but anyone helping gets the usual random engram drops and often runes as well. These Court of Oryx fights often have mechanics. If you don’t understand the mechanics, you can be actively working against others without knowing it. Who is being summoned is announced at the beginning of the encounter. If you die at court, you can respawn very close to the event. If the person that summoned dies and does not get revived or respawn and reenter the encounter fast enough, it is cancelled. Reciprocal Runes are Tier 1 summons, most of which should be listed below. Stolen Runes are received from defeating Tier 1 challenges at Court and must be charged by defeating Tier 1s before being used. 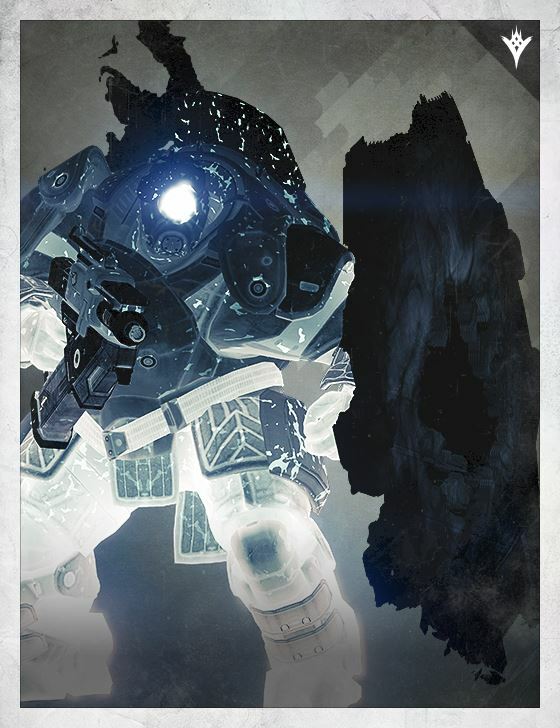 Tier 3 Antiquated Runes come from Nightfall Strikes and Kiings Fall Raid as well as the court and also require charging. I have been involved in one Tier 3 success so far. We had 6 people and I spent most of the fight reviving everyone else that died over and over. Alzok Dai, Gornuk Day and Zyrok Dai – these are 3 wizards each of whom can resurrect the others. Kill them close together, not one at a time. Get them all down to low health before killing them all of quickly. 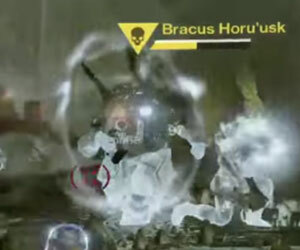 Bracus Horu’usk – a Centurion with an invulnerability shield and lots of adds. Kill all the adds and his shield drops briefly before a new wave of adds spawn and his shield is restored. Krughor – an Ogre with an invulnerability shield that can only be removed by a cursed thrall exploding close to him. Cursed thralls do spawn regularly, but I often see players killing them off before they can be pulled over to Krughor (frustrating players who understand the fight). Lokaar – a teleporting wizard. He has an elemental shield that will quickly recharge when he teleports. He generally teleports to left, right, top and under the portal. Find him quickly before the shield recharges. Mengoor and Cra’adug – a Knight and Taken Knight with invulerability shields that only weaken when the two are close together. Once one is killed, the others shield disappears. Another one where players often drag one of the two away from the other without realising. Swords also can knock the two apart. Vorlog – a knight with a shield that randomly changes element. Once you complete the last story quest in Taken King (Regicide), and unlock Dreadnaught patrol, you get a quest to gain your own sword (heavy weapon slot). You will need 25 hadrium flake, found mostly in chests on the Dreadnaught, and 25 motes of light which you will probably have plenty of by that point, this gives you your sword. 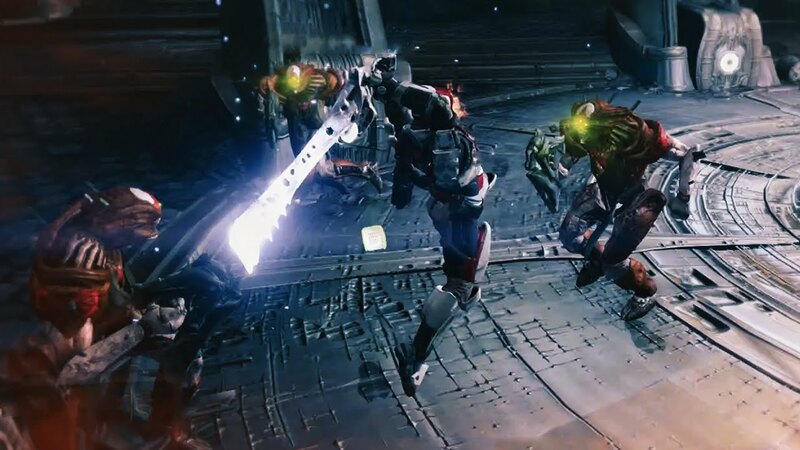 There is a further quest line to upgrade your sword to exotic which includes Crucible (PVP), boss kills, long boring material farming, and having to wait until Armsday (weekly) for the final item to be delivered. I am having lots of fun with The Taken King, and there is an enormous amount of content and mission chains to explore. If you have any suggestions or corrections to add, please email me and I will update this post accordingly.